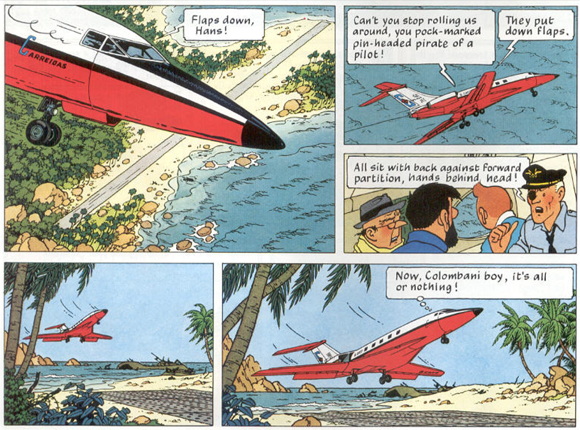 Here’s my idea of what happened to ↑Malaysia Airlines Flight 370—from top to bottom the panels are taken from pages 15, 16, and 20 respectively of ‘Flight 714’ (Hergé 1968 [1966-1968]). HERGÉ (aka REMI, GEORGES [PROSPER]). 1968 [1966-1968]. ↑Flight 714 [comic]. London: Methuen Publishing Limited. Originally published as ↓Vol 714 pour Sydney. Le Journal de Tintin 836-997.